There is no other experience that compares to a River Cruise, a truly unique way to travel. The great cities of the world grew up along the historic waterways that served as the continents' first highways, so exploring by river offers the best perspective possible, from scenic countryside views to intimate encounters with medieval towns, historic city centers and the natural beauty of the countryside. Enjoy "walk off the boat into town" access from your floating hotel, convenience a bus tour just can't provide. 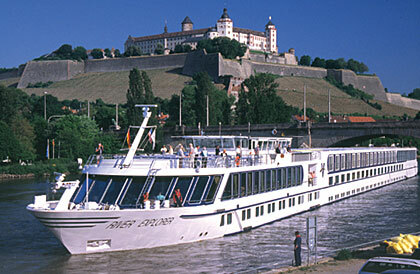 Many river cruises include daily on-shore sight seeing. Even though European river cruises have become very popular, for good reason, let us not forget that Europe is not the only continent with navigable rivers. You can also explore China, Egypt, Vietnam, the Amazon, Russia and our own beautiful US.